The databases CATH and SCOP both have around 1400 unique protein folds recorded from analysis of the PDB. However, I do not see any method to access this particular data. A list of each of the 1400 folds (just an id number, and/or a descriptor)? 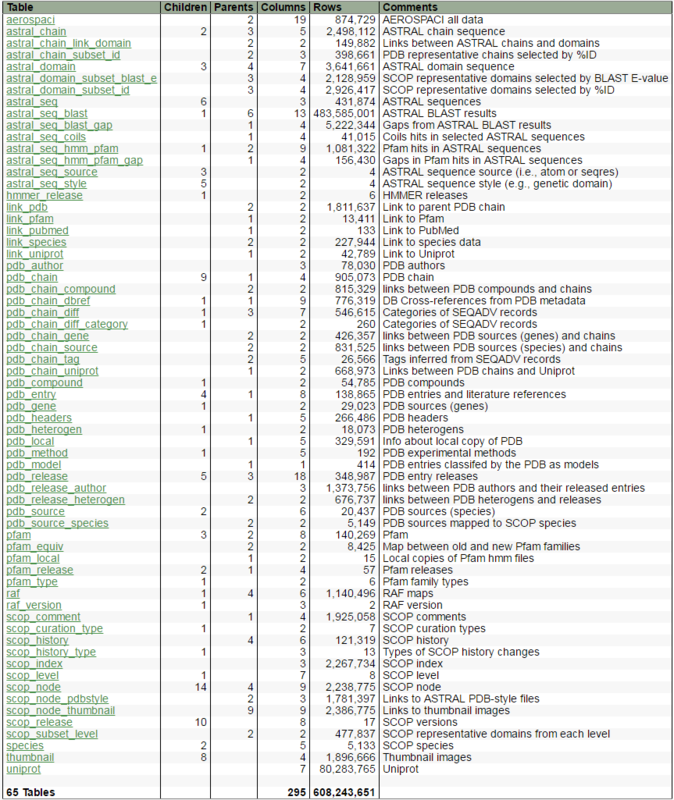 For each individual fold (of the 1400), a list of PDB IDs for proteins which are known to adopt each individual fold? Click on each of the 12 classes in turn. e.g. (a) all alpha proteins will take you to http://scop.berkeley.edu/sunid=46456 . Save the source of each page as text. Write and run your own parser to pull out the sunid (*****) from the http://scop.berkeley.edu/sunid=***** and the description line if you wish. (This assumes you program.) I think this sunid is the fold id. If you can than find some database or table that has PDB and sunid values in it, you can write another program to find the answer to 2. Sorry not to be more helpful. Not the answer you're looking for? Browse other questions tagged proteins database protein-folding protein-structure pdb or ask your own question. How many human proteins are very well characterized? Are quaternary protein monomers unique to a particular protein complex? How do I identify the protein with the highest Disulfide bond density? i.e protein with highest ratio of Disulphide bonds per Peptide bond? How to conduct PSI-BLAST for a given protein sequence against bacterial protein database only? What is the most-stable gene identifier?